We love it when our clients leave great reviews for us on Facebook or Google. See the reviews that are on Google now, https://goo.gl/JjStP0. 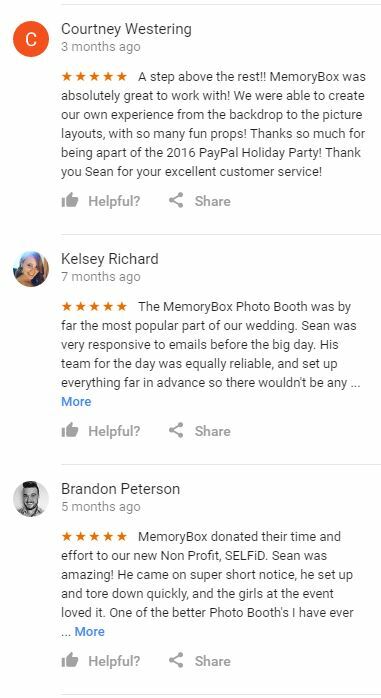 Visit our Facebook page to see what facebook users are saying too, https://www.facebook.com/memoryboxbooth/. It’s awesome when our past clients in Lincoln, Omaha, or other Nebraska cities talk about the services they received from us. If you have been a past client or just took a picture in our booth, please stop by and leave us a comment. We have had a few customers in the St Louis area so if you’re one of them, please don’t forget about us! 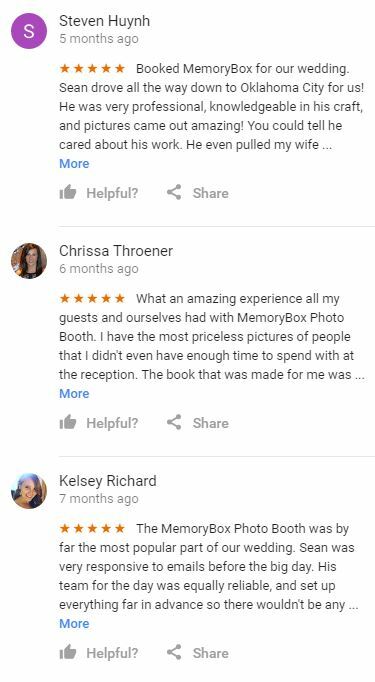 We strive to be the #1 source for photo booth rental so having happy clients is our #1 priority. If you’re not a client already, please send us an inquiry if you are needing service.